This is the first photo of P-141 TCG Yunus 1 I have seen. Photo: Anadolu Ajansı via NTVMSNBC. 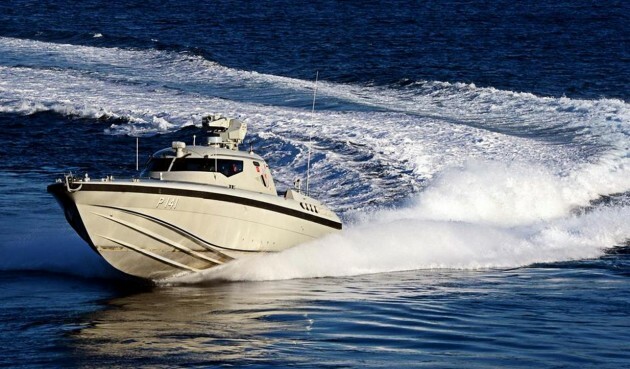 The Turkish Coast Guard with at least 50 units is the biggest local user of fast patrol boats build by Yonca Onuk shipyard. The Turkish Navy recently started to commission boats of this shipyard. Two are used for the infiltration of special forces teams. There were reports that two more boats were bought by the Navy for base protection duties but these boats had a very low public profile. Unlike her near sisters in Coast Guard service this craft is well armed with a 7.62 mm machine gun on a stabilized gun platform made by Aselsan. Thank you very much for these wonderful photos.